A day’s escape in one of the most beautiful beaches in Mykonos. 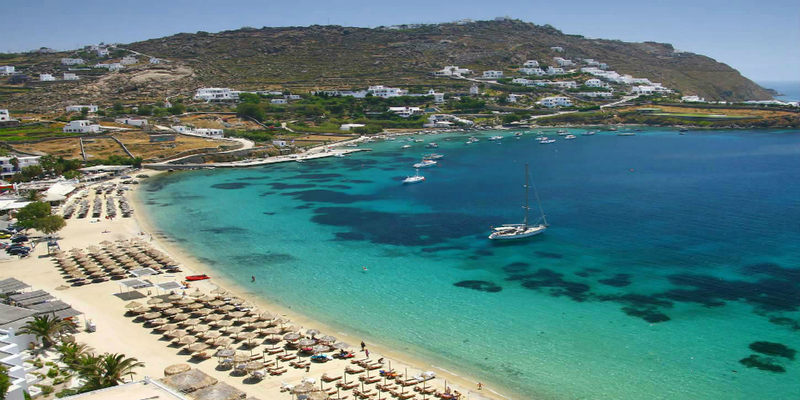 The cosmopolitan and longest golden sandy beach of Mykonos. 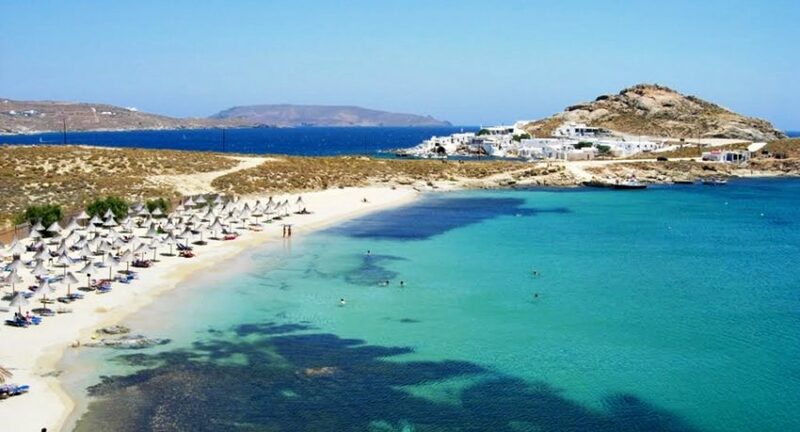 Elia is the longest sandy beach of Mykonos, fully organized, providing a wide choice of all kind of accommodations and dining choice as well sports facilities. 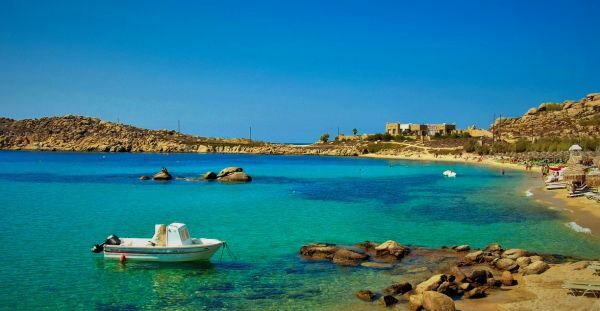 Elia is a picturesque seaside, with crystal clear turquoise waters, which is worth visiting. 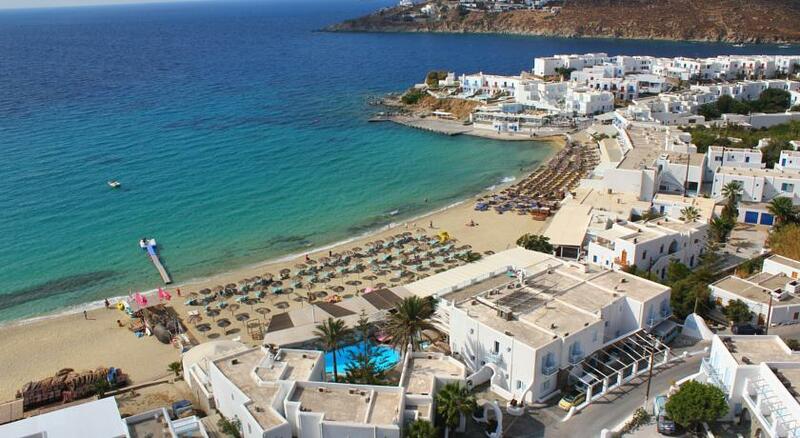 With access and a nice crowd, only 10km from Mykonos Town. At Elia don’t get surprised if you come across with many glamorous people. Magnificent crystal clear waters and nice breeze under the Myconian sun. A beach heaven for everything you ever wanted for fun in the sun. 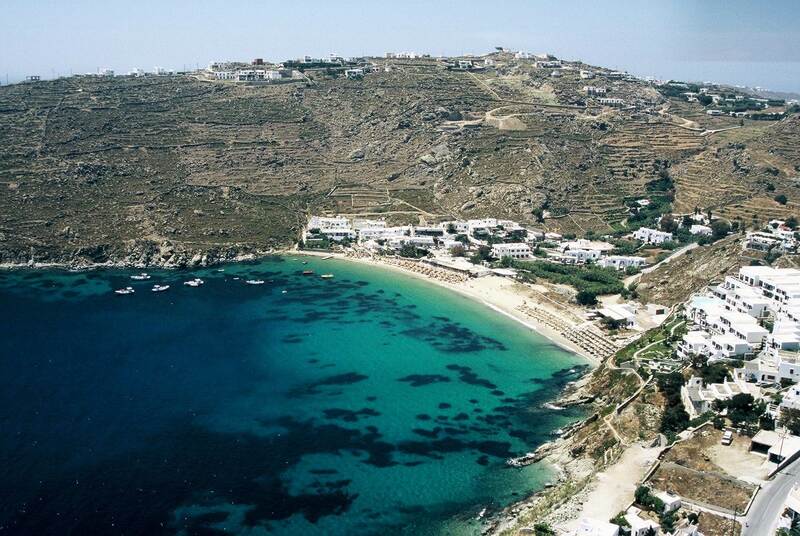 Kalafatis, a beautiful bay and long sweeping beach on the eastern side of Mykonos. Well known for its water sports. As it is a very much active sport beach. With its own wind-surfing school for playing with the waves. A cozy beach-volley court, water sports area, diving centre, sun beds and umbrellas and plenty of accommodation choices. Kalafatis beach is easily accessible and ideal for excursions and Windsurfing as also Diving fans! A long and beautiful relaxed beach. Kalo Livadi is located at the end of a long valley, a beach ideal for families and a relaxing day at the beach. The shoreline is the perfect choice for children to play in combined with fun in the sun water sports as paddle boat or kayak and a few cozy taverns, beach bars and restaurants. The ideal suggestion of families, relaxation and tranquil swimming all day long. Agrari is situated in the south of the island of Mykonos and is a quite, amazing sandy beach with umbrellas, sun beds and a really nice beach bar. Agrari can be reached by car or motorbike and at the way you can really admire the stunning view from up the hill just before reaching the final turn. Also by boat from Platis Gialos or Ornos bay, or by foot from Elia beach. The two small beaches that lie between Elia beach and Agrari beach are also a very good proposal. Ideal for relaxation and swimming. Parties and fun in the sun! Super Paradise is the absolute synonym of the party scene. The combination of the beautiful rocky scenery, the vivid atmosphere makes Super Paradise a very popular spot. Super Paradise is a widely known popular beach party paradise and calls for relentless fun everyone, packed with clubbers, jet-setters, models and celebrities. From morning till late at night, don’t miss the unique special events and parties as in Paradise beach every day is a party day. 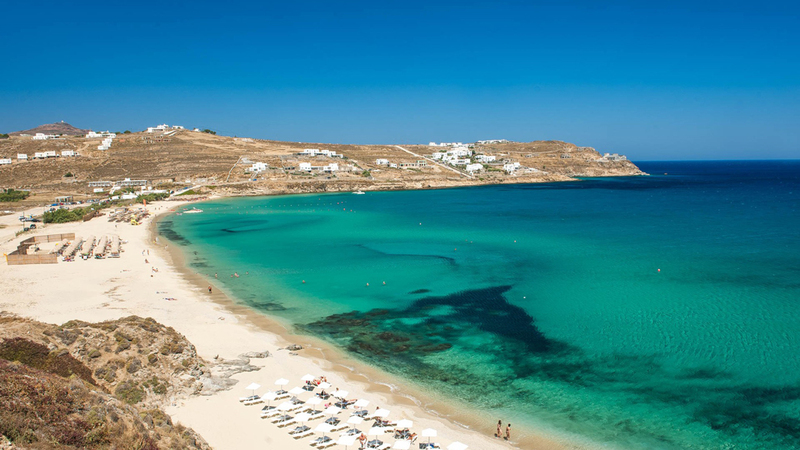 One of the most popular beaches in Mykonos! Paradise beach is located at a distance of 5 km from Chora, at the southeast, between Paraga and Super Paradise beaches. All day and all night parties, plenty of water sports, restaurants and beach bars, coarse sand and beautiful turquoise waters. Name what you want for a life time beach experience: from parties to scuba diving, water ski, jet ski, banana boats, pedal boats and canoes, water toys, banana boats, snorkeling, bungee catapult and beach horse riding. Dance music all around and always with special events and party happenings. Paradise beach is waiting for you to keep in a 24h basis your adrenaline flowing. Party atmosphere, beautiful location and lets mix with the crowds. Paraga is a very picturesque spot and party atmosphere beach. Sandy with clear waters, umbrellas, sun beds and a shallow shoreline for children to play in. 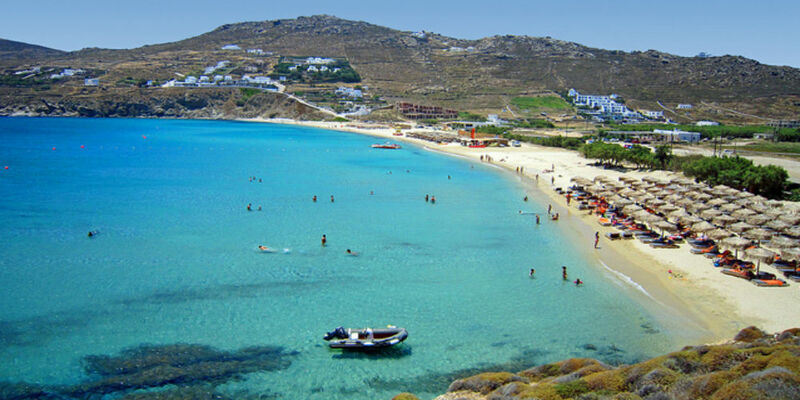 Paraga beach is definitely one of the most frequented and beloved on Mykonos. It can be reached also by foot from Paradise Beach, only 10 minutes walk. The alternative solution with a slice of freshness. Agia Anna is located only a few minutes’ walk from Kalafatis beach and takes its name after the tiny chapel of St. Anna. It is an alternative solution off the crowded beaches, protected from the strong winds and offering a slice of real fishermen’s life. Traditional fish taverns, local fishermen’s houses are elements you need to have a taste and a look. Only a few sun beds and umbrellas. 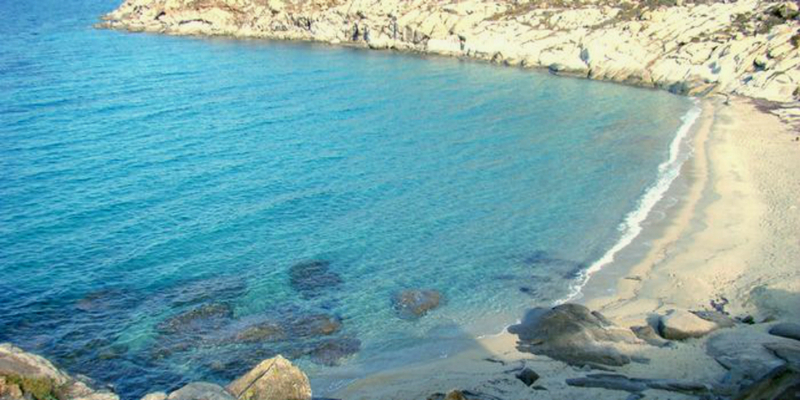 Excellent choice in a walking distance from Agia Anna, are Platis Gialos and Paraga Beaches. Ideal for relaxation crowed free and wind protected. The place to be for all you need for you and your family. for children to play safely as well as a life-guard on duty. Located on the southern side of the island, with plenty of space, umbrellas and sun beds, offering full-scale facilities such as a water sports center, restaurants, souvenir shops and beach bars. From Platis Gialos you can also visit by boat other amazing beaches as Paradise, Super Paradise, Agrari and Elia and on foot Agia Anna and Paraga beaches. Ideal for beach activities, water sports and families. The attractive heaven for the most demanding. Psarou is an attractive beach with clear waters, umbrellas, sun beds and a place for boats and private yachts to anchor. Visited by locals and VIPs, as a tranquil beach destination, where the fun never stops. Enjoy the waves combined with the most flavor tastes as there is a restaurant, a traditional tavern, a cafe-bar, and even a sushi bar for the most demanding! And don’t forget the sports! Water sports lovers will not be disappointed, with the extra plus of a scuba diving center right at hand. Ideal for scuba diving, tranquil swimming and relaxation. Situated only 2 km from Mykonos town, with easy access and a variety of facilities. On the southwest of the island, a really beautiful sandy beach, with a lot of space, umbrellas and sun beds. Ideal also for sport activities as diving, sea skiing and windsurfing. Best for families, with easy access and close to Mykonos town. The blue waters and the enticing sunset view. Agios Ioannis is one of the best places to be with an amazing small sandy beach. Considered being the most beautiful beach of the island’s south-west coast. Not too close to the town, but with a magical view over Delos Island. A perfect escape to enjoy a smallish beach. 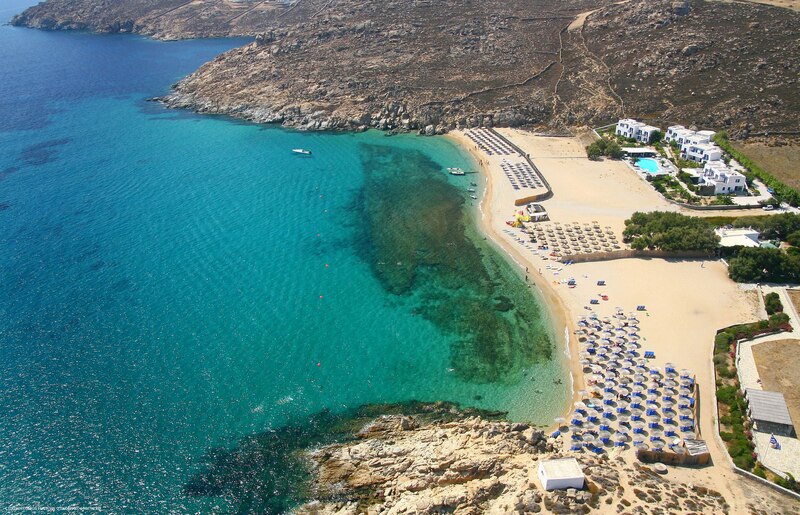 Best for its Delos and sunset view and tranquil swimming. The most beautiful beach in the west of Mykonos. Enjoy the amazing view to Delos, the Apollo Island and the magical sunsets. Only 5,5km from Mykonos town, following the signs to Ornos and then to Kapari. Kapari is not an organized beach. There are no sun beds or umbrellas but an amazing sandy beach that worth your expectations. Calm, ideal for its beautiful clear waters.